It is not new news that social media is an ever changing landscape. What is trending now may be something of the past soon enough. And for some hoteliers, just keeping up is hard. So to help you stay current, Milestone summarizes the top 5 recent things that hoteliers must know about social media – and what you should do now. Facebook timeline transition: As of March 1, all business pages switched to the timeline format. 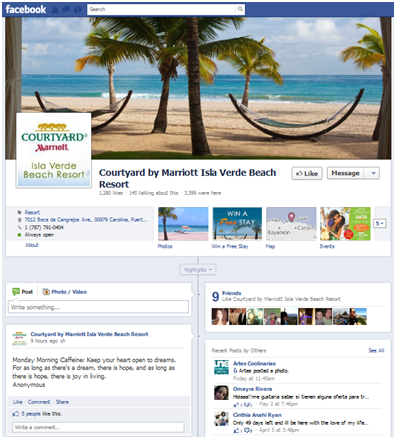 Once a guest enters a business page, they are presented with a large lifestyle image and a series of events (like wall posts) listed out as a timeline. Impact: The hoteliers can use that large image (known as the cover photo) to sell the experience of staying at the hotel. However, hotels cannot use the cover photo area for promotional purposes or use any call to action. Recommendation: Sell your destination, not your rates. Google+: Google users can create “circles” of friends, who are also Google users. In these “circles”, guests share information like images, comments, reviews, etc. Now, when a guest searches any keyword phrase and as long as he is logged into Google, the results page will not only display traditionally optimized website, but will also display related content that is being shared in his network. Impact: Search results prioritize content that is the most relevant to the guest based on what is being shared in the guest’s network. Recommendation: Constantly create fresh content that has the highest probability of being shared. Blogs are great tools for this. Pinterest: This is an image-based social network that allows guests to save or “pin” images they like onto a personal “pinboard.” That pinboard can be viewed by the public, but each image leads any viewer back to the original website or pinboard. Impact: Hoteliers have a new way for their website images to go viral, and therefore help increase market reach. Recommendation: To increase the chances of your images being shared, make your website images enticing. Example: don’t display a picture of an empty meeting space to say you have a meeting space. Instead, show an image of an exciting wedding or party, which communicates how the room can be used. Online Reputation Management: Search engines have incorporated guest ratings and reviews into their algorithm. Impact: If you have a lot of negative reviews, expect to appear low on the results page and expect few stars placed against your Google Places. Recommendation: First, counteract the amount of negative keywords in the reviews by responding positively to the reviewer. Second, don’t ignore the root issue of the negative review. Example: if the common theme in negative reviews is customer service, you need to improve your customer service. Lastly, always thank your positive reviewers as they essentially are your brand advocates. Klout – Always remember the goal of social media is soft lead generation. Use it to stay connected to your market and branch into new markets. Therefore, effectiveness is measured based on your reach, the quality of your communications and how relevant you are at this current moment. The measurement for these subjective topics is Klout. Klout is a social-scoring calculation that takes items like the above with many more factors to report to you how influential you are. Impact: Finally, there’s a way to define effectiveness for all this social media stuff. Recommendation: Don’t focus on just the reservation; you also need to focus on how to increase your market share. Strategically do wall posts with topics that are trending. Upload images and videos that have a high chance to go viral. Stay current and stay active. Don’t do hard sells. Instead, socialize and engage yourself with your guests. If you’re serious about having a strong online presence and about growing your business, it is vital that you dedicate resources to staying up-to-date with the best channels and tools that social media has to offer. 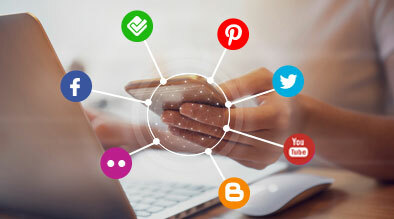 Using tools, such as Facebook’s timeline, Pinterest , Google Plus, online reputation management softwares, and understanding your Klout score will surely help you stay above the competition.